We love working with our trade customers, having regular photographers, event organizers and wedding/ party planners that we work with. 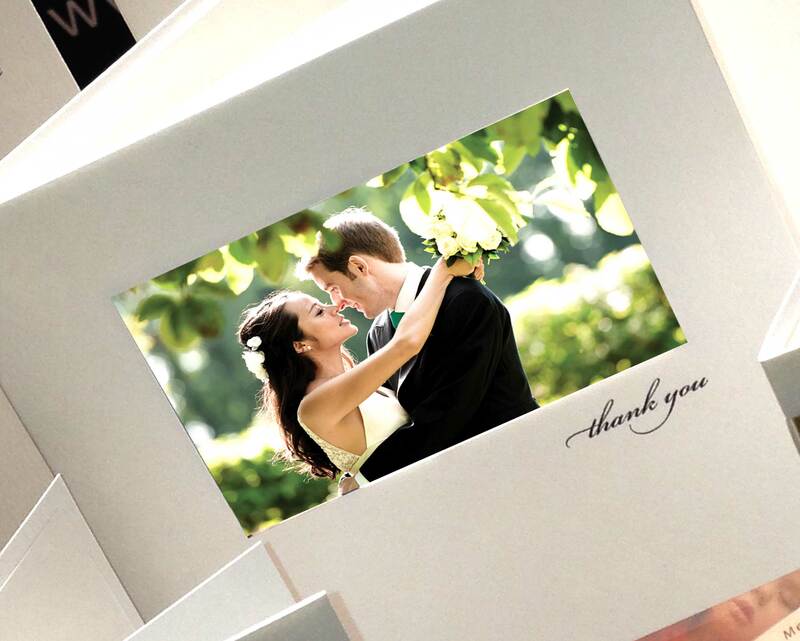 We can made all your cards printed with your logo on the back so its a fabulous advert for your company. If your cards are being sent direct to customers from us we package them all wrapped in tissue, with stickers with your logo on. We always send you a copy of what’s gone out direct so you know what they have received and it also builds up your portfolio to show other clients. 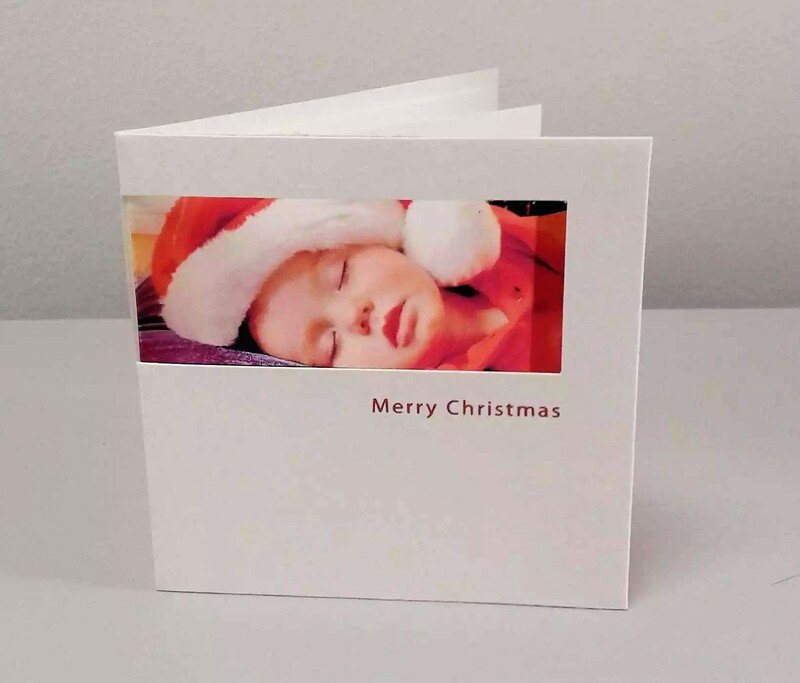 We can work any way you wish; some clients send us regular orders as they include cards in a package price and they like to keep their orders simple and generic. So they send us photos and their clients name and date of the wedding and we create a design which they forward to their clients. Our trade clients particularly say they love our personal service and attention to detail. They like the fact its something personal and different that makes them stand out from the rest of the crowd. 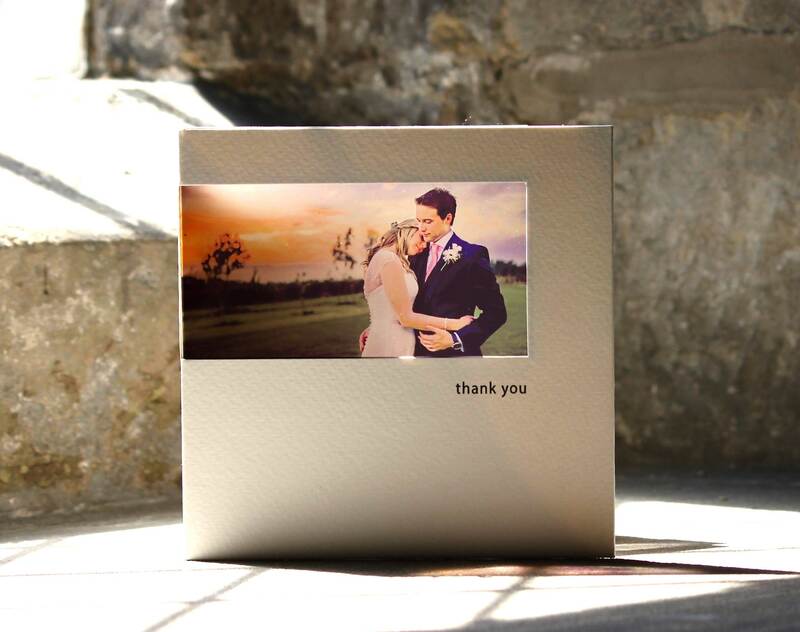 Wedding thank you cards – every card that your client sends out is a great advert for your own work. All printed with your logo so it really endorses your brand and sets you apart from others, having a high quality unique product. 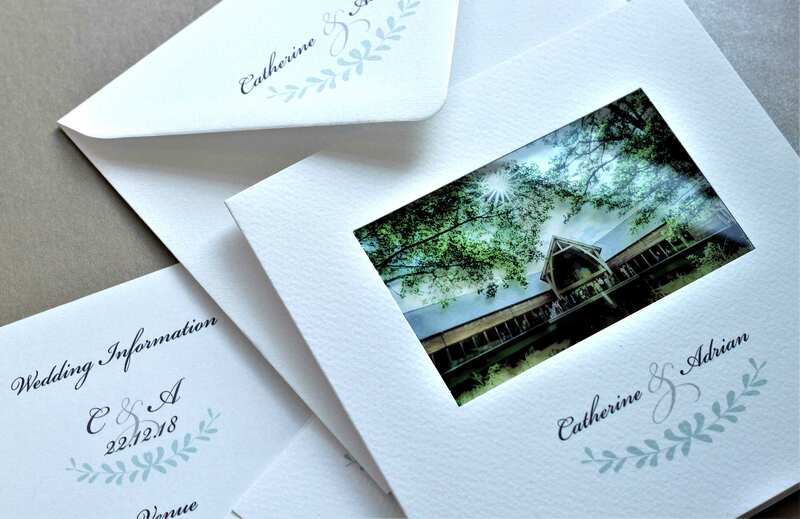 Wedding invites – photographers taking pre wedding shoots love using our cards for invites as its a great way to use their professional image. 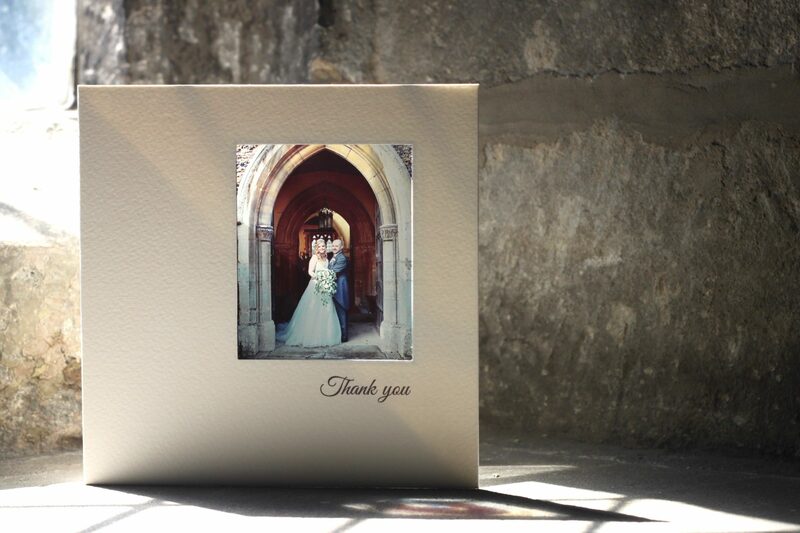 Clients love it too as its so personal and really sets the scene for a high quality personal wedding. 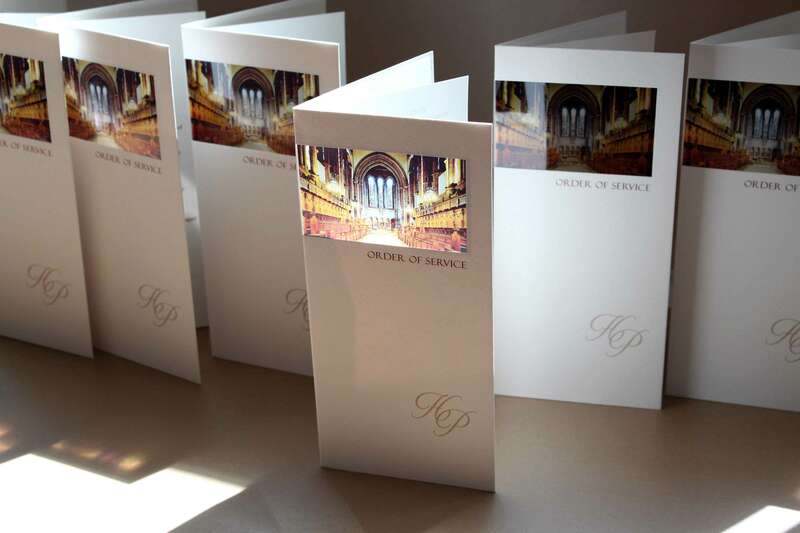 Order of service/Order of the Day cards – these are a stunning product and when we use a professional photographers image they just look fabulous. Clients love photographers who provide this service as its something their guest will keep as a lasting keepsake to cherish. 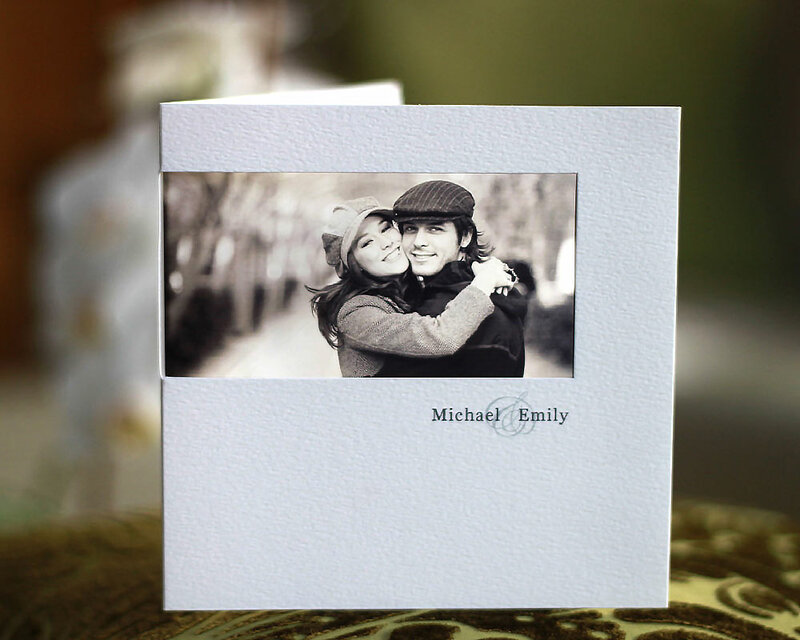 Anniversary cards – our clients often have generic cards they send out on the first anniversary or some after a bride has been to visit them. It looks really personal and creates a great lasting impression. 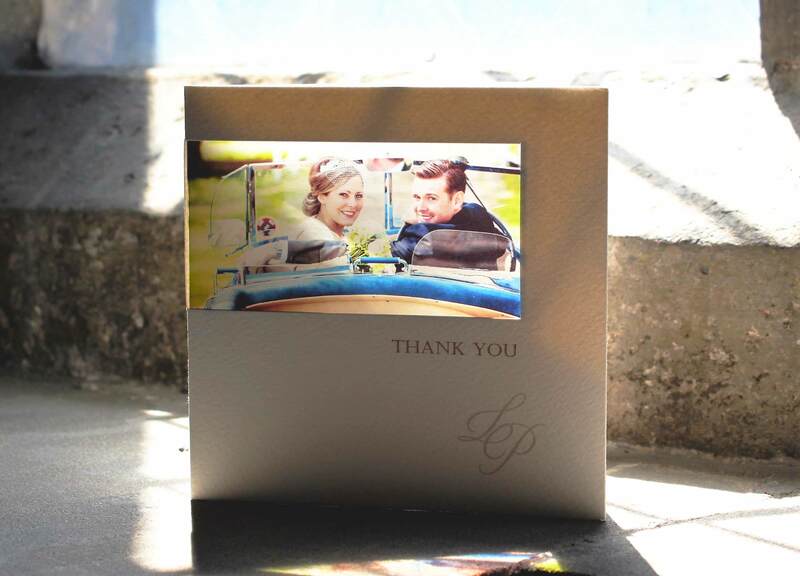 We know photographers that send out anniversary cards often come back to us with baby cards to make or christening so that gentle reminder and personal touch really works. 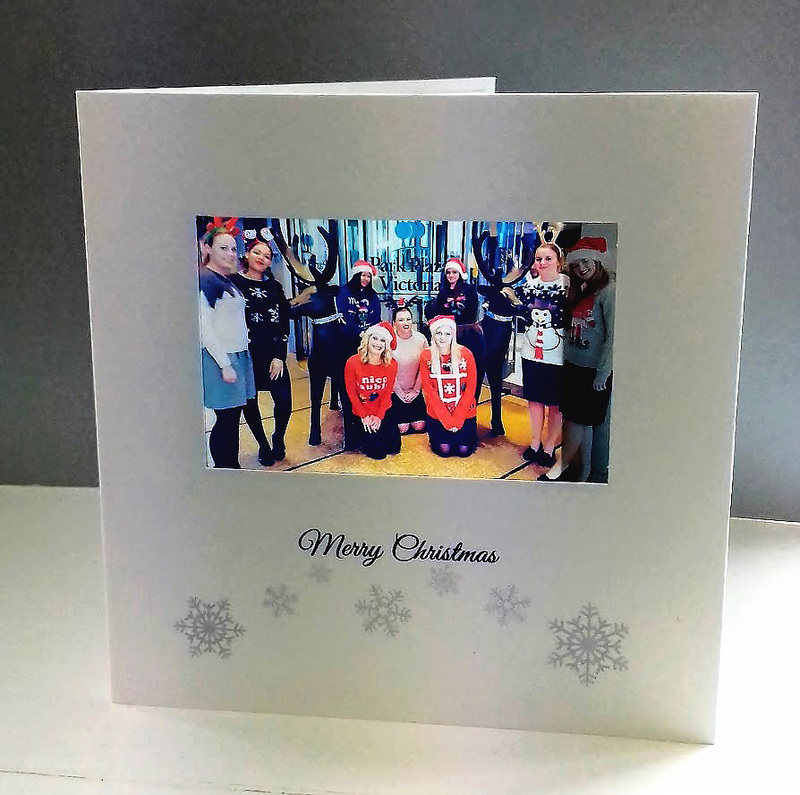 Christmas cards – corporate Christmas cards really endorse a professional caring personal service. Using our cards really sets you apart from the competitors as a high quality company. Have a bit of fun why not add pictures of the team in Christmas jumpers? We use you logo too to add a professional touch. 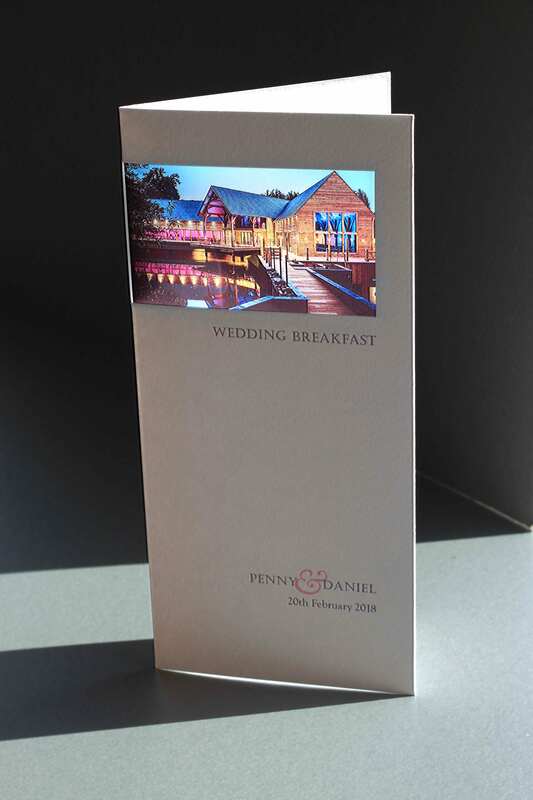 Menu cards – One off special menus for corporate events and fundraising work really well. Helps your guests really look at the message your’re trying to get across. Brand announcements or new location cards – we have done some exciting cards showing clients new brands.It’s a great way of marketing a premium product or service. 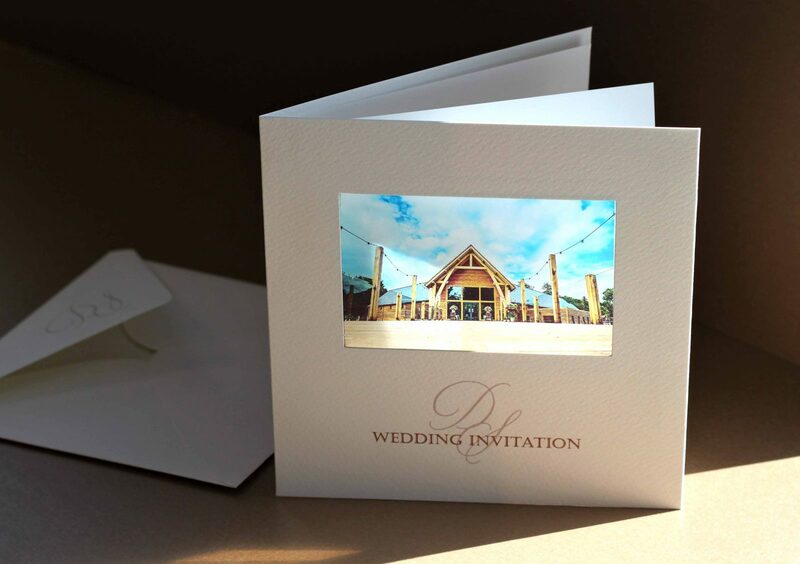 We also for the same client used our cards to advertise a new showroom and invite them to the open day.